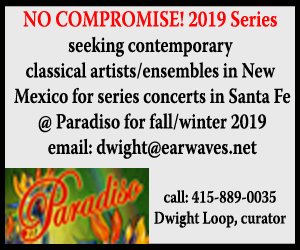 New Mexico Contemporary Ensemble. Photo: Courtesy of the New Mexico Contemporary Ensemble. New Mexico Contemporary Ensemble, a two-year old group of professional musicians based in Albuquerque, recently put together the multi-media project “Industrial Foundations” to present at the Albuquerque Railyards, a former railroad complex and hub of industrial activity located south of the city’s downtown area. “The project is centered around industry and metal, so when we found out that CCA is hosting a show of metal works by Tom Joyce, we knew that performing there was a great fit for us,” says clarinetist Clara Byom. The performance features the talents of University of New Mexico faculty members and composers Peter Gilbert and Karola Obermüller, dancers Naomi Elizabeth Montoya and Rhea Riley, and musicians Byom, Ian Brody (cello), Yakima Fernandez (violin), Luke Gullickson (keyboard), Dalton Harris (trombone), William Kramer (percussion) and Chris Ogden (saxophone/bassoon). The major work in the performance is “From Shadow to Thunder” by Gilbert and Obermüller. In this multi-movement piece, instrumentalists interact with electronic sounds controlled by the composers working with an eight-part speaker system while the dancers respond to Joyce’s metal works. 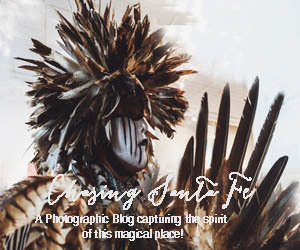 For this particular work on the program, audience members will be encouraged to move throughout the venue to experience the space in various ways. Among other pieces on the program are two that came from a nationwide call for new works that can be communicated on a postcard. “We asked composers to write vague instructions on a postcard and chose a couple of them to play,” explains Harris. One work involves gathering six local found objects, which can be hit and interacted with, and arranging them into a percussive instrument. Another piece starts with taking seven minutes of recorded rural and/or city sounds and asking the musicians to mimic these recorded sounds on their instruments. This is the second season that New Mexico Contemporary Ensemble will be performing at CCA. “The space has great acoustics,” adds Byom. New Mexico Contemporary Ensemble presents "Industrial Foundations"